FCS Security was founded in 1979 (then called Artic Security Systems®) by Dario Fraticelli. In 1985, Artic security systems was incorporated and renamed Semac Security systems. In 1994, with new guidelines created by the Québec government all alarm companies were required to pass a series of tests in order to obtain CCQ (Construction Commission Québec) and RBQ (Regie du Batiment) licenses. Full Circle Security system (a.k.a. FCS) while Semac handled the residential installations. 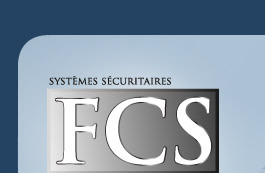 In 1997, the two companies merged and became FCS security systems. FCS specializes in installation, service, and of course monitoring of security systems.